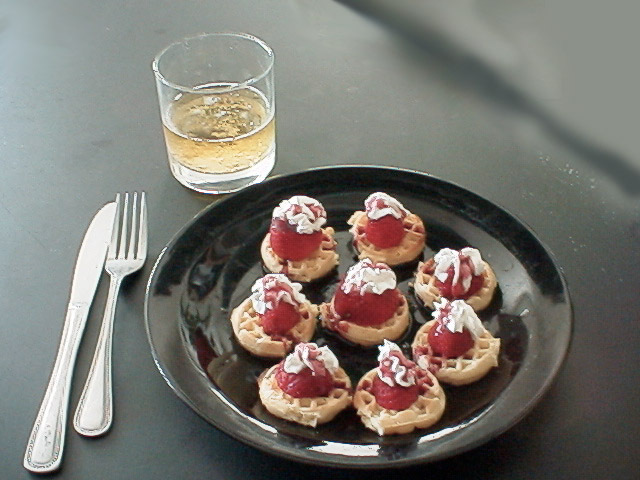 Here’s a nice little treat you can whip up with mini frozen waffles. Take some of the strawberries and mash them with some sugar and water. Boil into a sauce/reduction and pour over each waffle once you’ve toched the top with a bit of whipped cream.